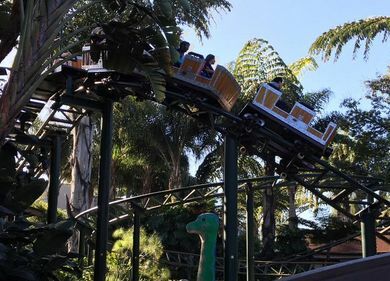 Enjoy these fun 2020 San Diego events in January. Happy New Year San Diego. January offers the end to the Christmas holiday season, and the time to make your New Years resolutions. There are many seasonal activities such as whale watching and tidepooling to enjoy during the San Diego version of winter. Time to try something new. 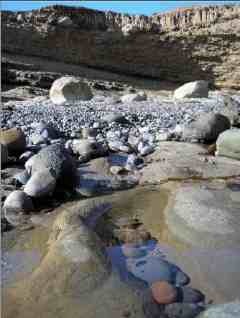 Tidepooling in San Diego - January dates TBD 2020 at various times in the afternoon at low minus tides. Fall and winter is tidepooling time in San Diego. It's a free and fun activity for the entire family. You'll want to explore during low tides. See the best times to visit the San Diego Tide Pools. Make Reservations for Valentines Day - Valentines Day, Friday February 14 2020, is just around the corner, so don't wait to make reservations. Check out our Valentines Day Ideas. La Jolla Polar Bear Swim - tentative New Years Day Jan 1, 2020. Make you new years resolution and join the La Jolla Cove Swim Club in their annual polar bear swim, 10 AM at La Jolla Shores. This is a fun non-competitive swim. One of the cool San Diego events in January. www.lajollacoveswimclub.com. San Diego New Year's Day Race 2020 - San Diego Yacht Club, Shelter Island. All boats and classes are featured in this New Years day traditional regatta. 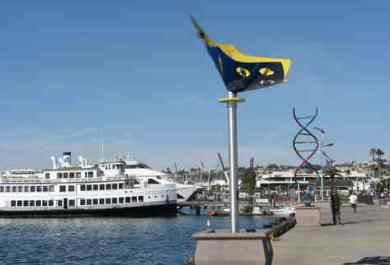 Participants will start around noon at the east end of Harbor Island and sail into San Diego Bay. Nice to watch as you explore the San Diego waterfront. www.sdyc.org. California Weekend Getaways - Looking for some weekend vacation ideas to kick off the new year? Visit somewhere new. Check out these best California weekend getaways. Ice Skating at Coronado Beach - ends January around Jan 5 2020. Time is running out to ice skate San Diego style, at beautiful Coronado beach. Skate sessions offered at varying times. Tickets prices $25. www.hoteldel.com. San Diego Whale Watching - During December - April, whale watching is at its best, as the California Gray Whales migrate close to shore and can be seen from land or sea. One of the popular San Diego events in January. San Diego Whale Watching. Nature Walks - Saturdays from 10 - 11 AM at San Elijo Lagoon Nature Center. Explore the San Elijo Lagoon Ecological Reserve on guided nature walks, or explore on your own. www.sanelijo.org. Birch Aquarium SEA Days - Saturday January 18, 2020 from 11:00 am- 3:00 pm Free with admission to San Diego Scripps Birch Aquarium. Meet animals that live underwater in the La Jolla Ecological Reserve. Birch Aquarium. Martin Luther King Jr. Parade 2020 - tentative Monday Jan. 20 2020 starting at 2:00 PM at Harbor Drive, Embarcadero, to honor Dr. Martin Luther King Jr. MLK parade with floats, high school bands, drill teams and more. For more MLK parade information see alpha-zsl.org/mlkdayparade.html. Free Museums - A few museums in Balboa Park are free on 1st - 4th Tuesdays of each month to San Diego area locals, and active military. Check out the Free Tuesday Balboa Park museum schedule. San Diego Dog Beaches - Dogs love the San Diego beaches too, so why not try them all. Ocean beach dog beach is our favorite, but there are others too. Learn more about the San Diego Dog Beaches. 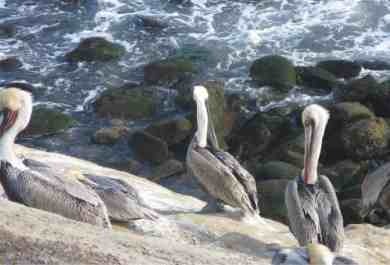 La Jolla Coast Walk - One of the best free San Diego activities in the La Jolla Coast Walk. Enjoy the scenic beauty and fresh air. Things to Do in San Diego - For more San Diego events, check out these Things to do in San Diego and San Diego Events February.